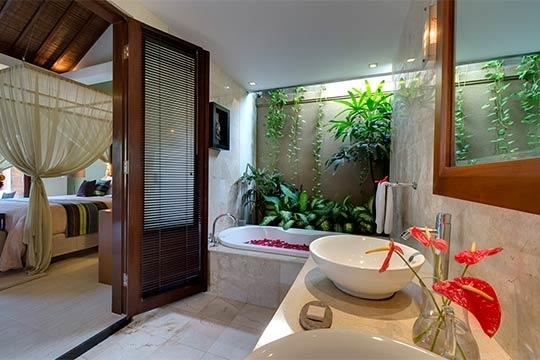 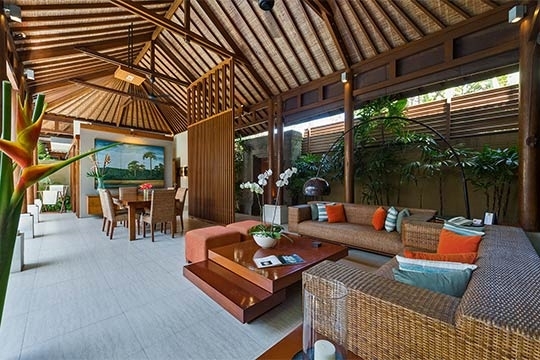 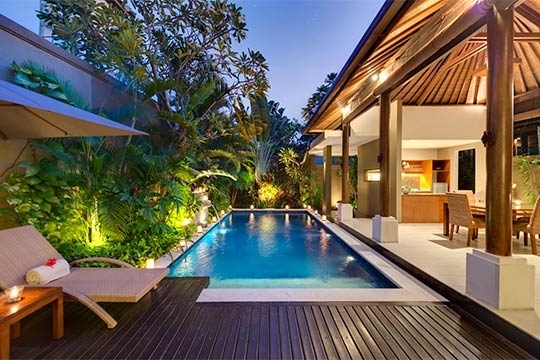 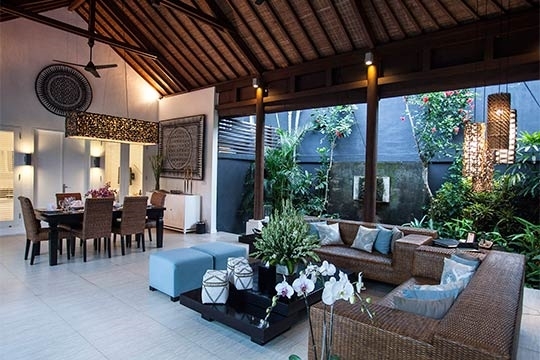 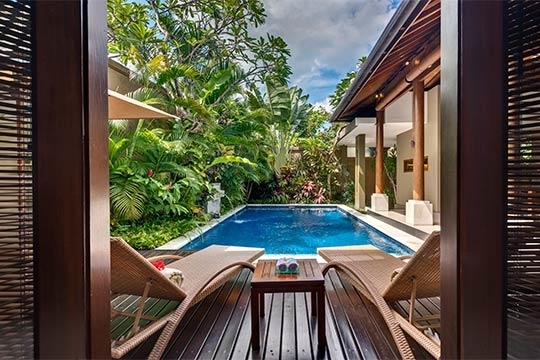 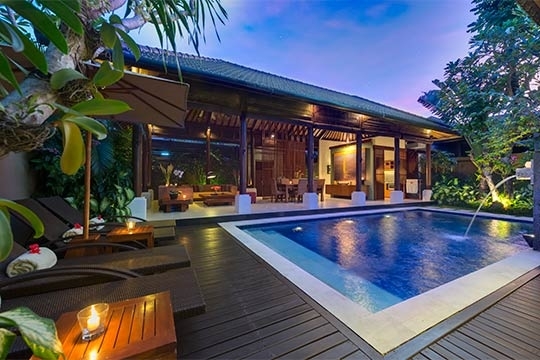 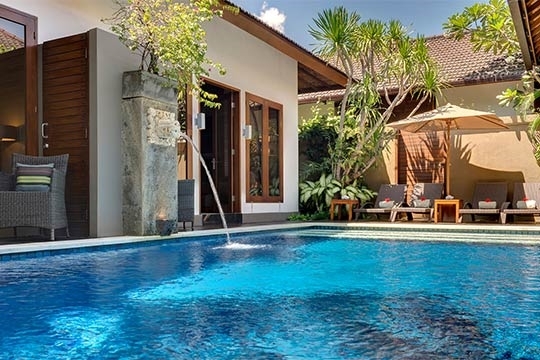 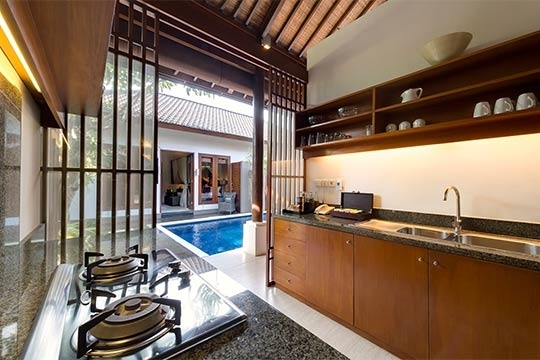 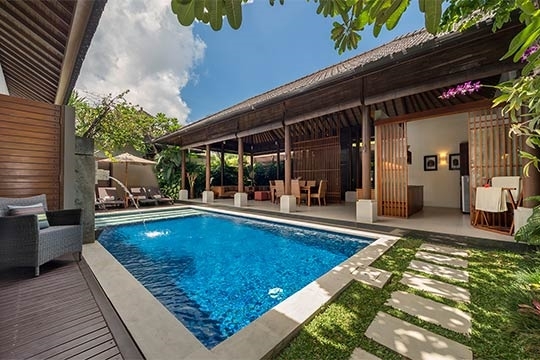 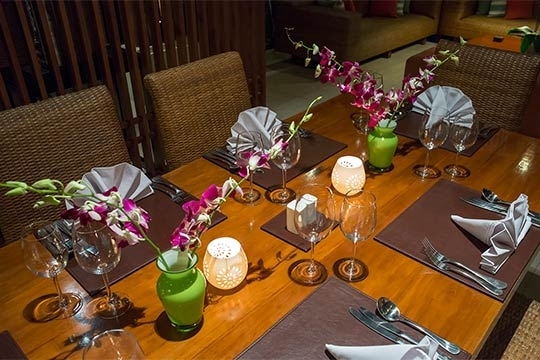 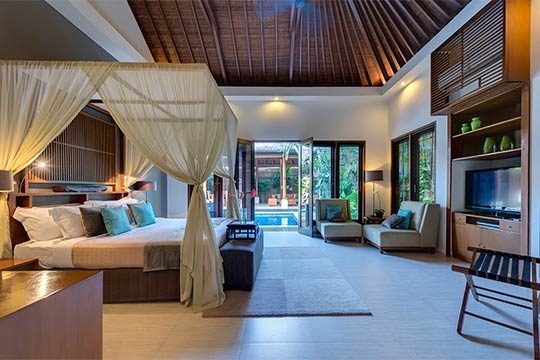 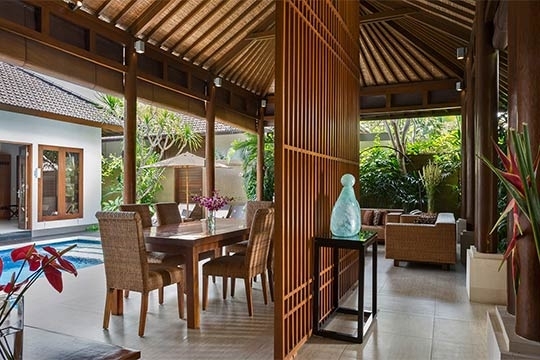 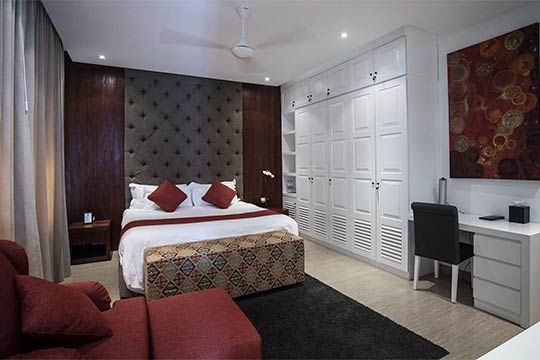 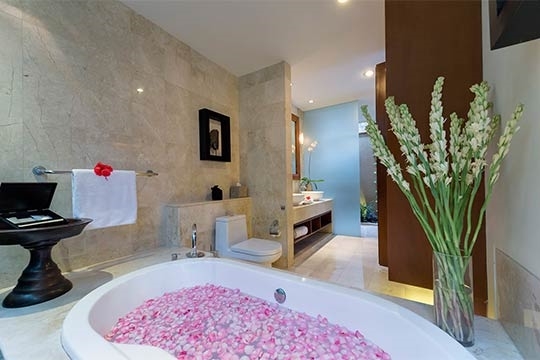 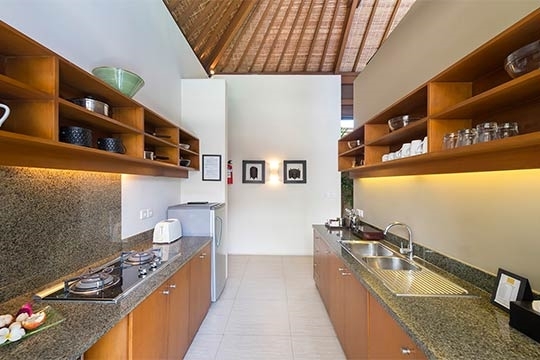 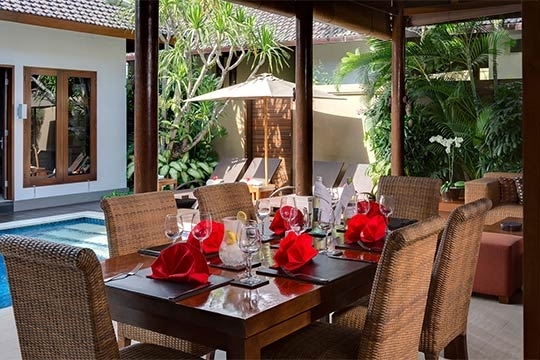 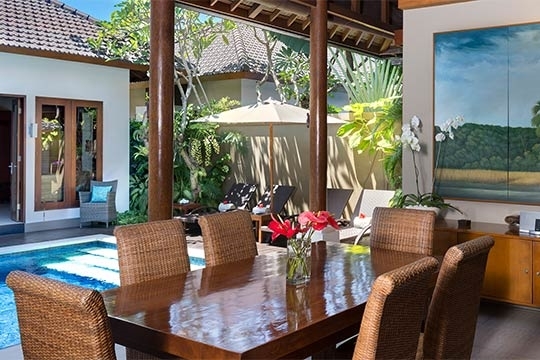 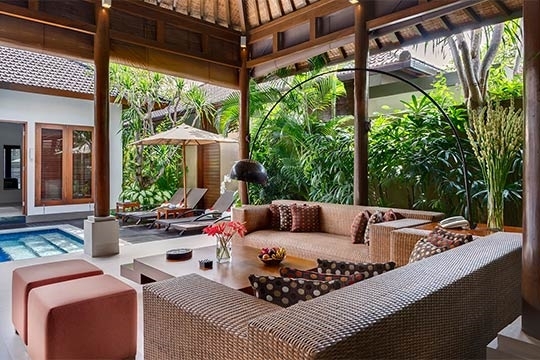 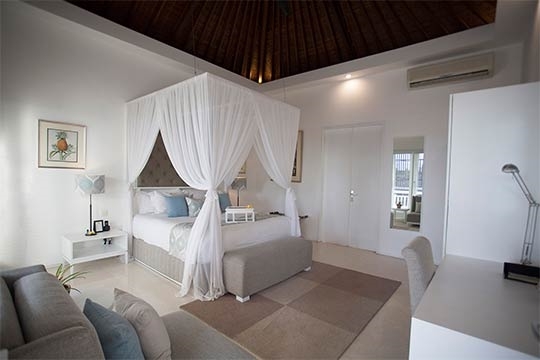 Lakshmi Villas - an elite haven | Pictures, Reviews, Availability | Bali Villas: Private and Luxury Vacation Rentals in Bali. 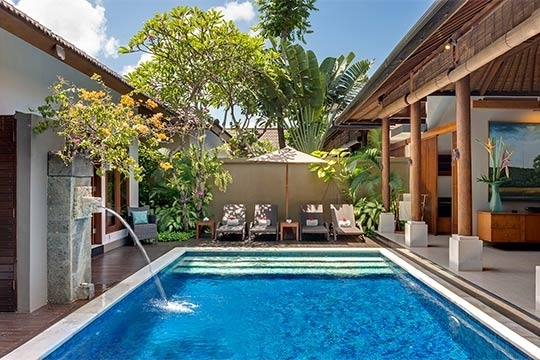 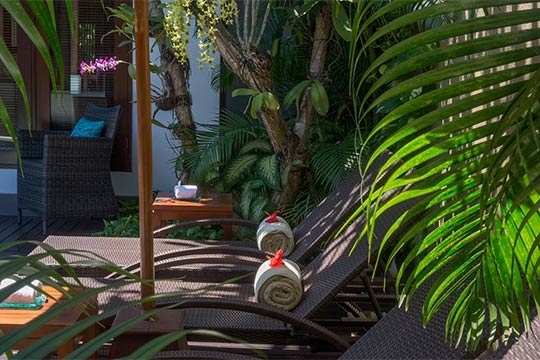 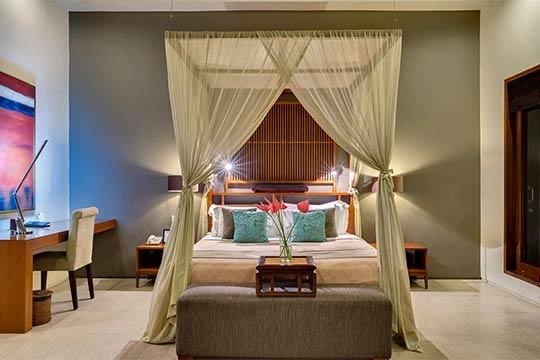 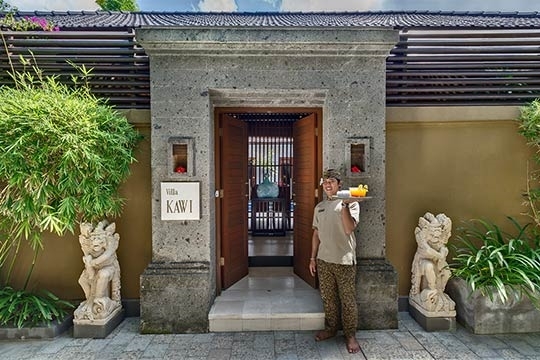 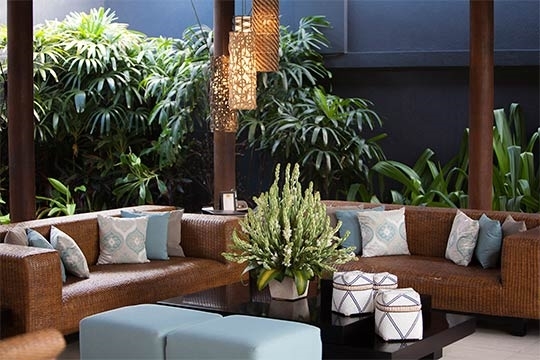 A stylish hideaway in the heart of Seminyak, Lakshmi Villas is just 500 metres from the beach and has the best of Bali’s world-class restaurants, bars and boutiques right on its doorstep. 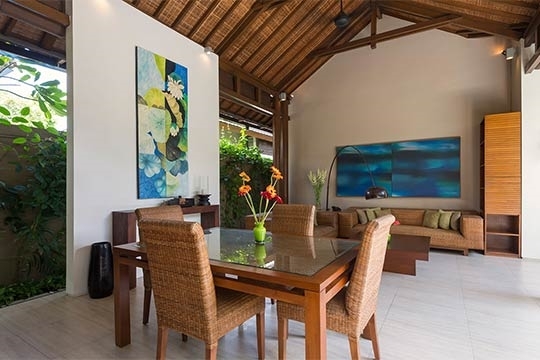 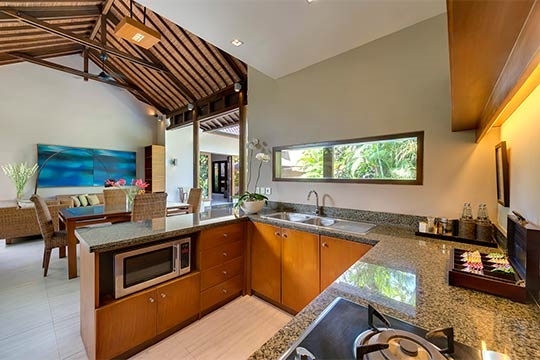 Elegant design highlights contemporary tropical living, with private swimming pools encircled by neat walled gardens, atmospheric open-plan living areas and spacious bedrooms with courtyard bathrooms. 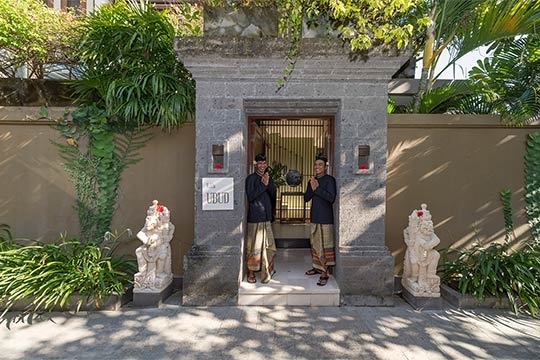 Experienced and professional villa staff, including a manager, chef and villa attendants, are on hand to take care of every need. 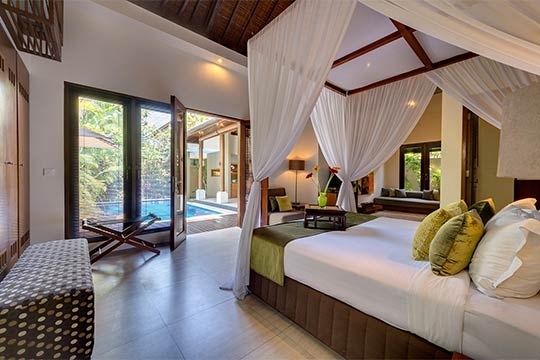 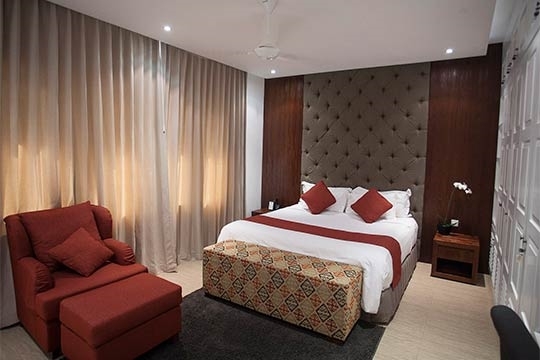 These four luxury one- and two-bedroom villas can be rented in combination to provide from one to seven bedrooms sleeping a total of 14 adults. 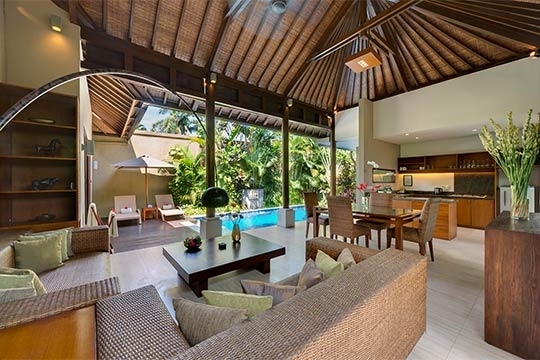 4 private self-contained neighbouring villas plus an apartment comprising 3 x 2-bedroom villas, 1 x 1-bedroom villa, and 1 x 1-bedroom apartment. 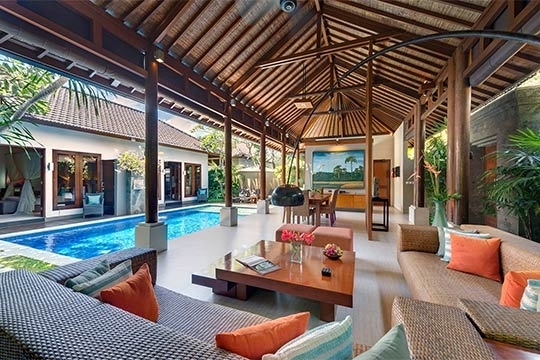 From 1 to 14 adults. 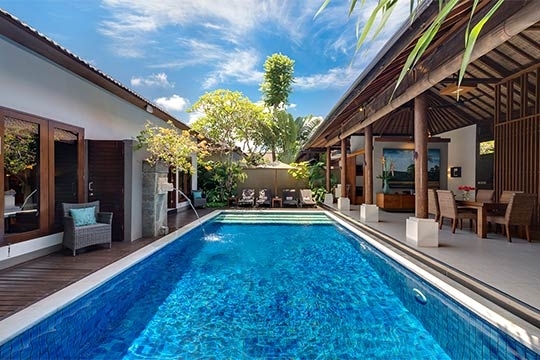 Three swimming pools measuring between 8 metres and 6 metres in length.